San Nicolò was the Bishop of Myra in the region of Lycia, in modern-day Turkey, and is the patron saint of the people of the sea as sailors and fishermen: for this reason the celebration dedicated to him, falling on December 6th, was particularly important in Venice. 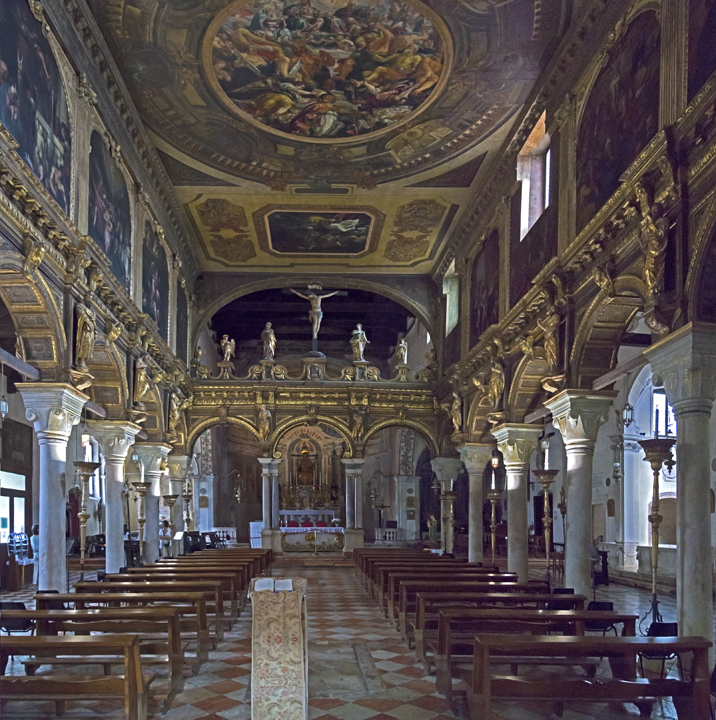 One of the most ancient churches in this city was dedicated to San Nicolò dei Mendicoli (St. Nicholas of the Beggars). According to legend, the church was founded in the VII century by refugees escaping from the nearby city of Padua because of the Lombard invasions. The name Mendicoli is due to the fact that the island on which the church was built, was populated by fishermen, boatsmen and generally poor people, so the island took the name “Mendigola” because of its begging inhabitants. 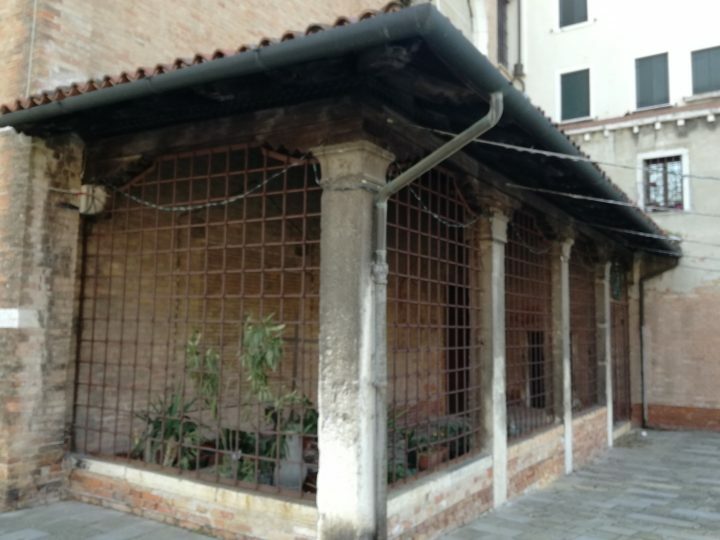 The first definite news concerning the construction of the church dates back to the XII century and some architectural features of this period are still clearly recognizable on the façade, as for instance the portico. 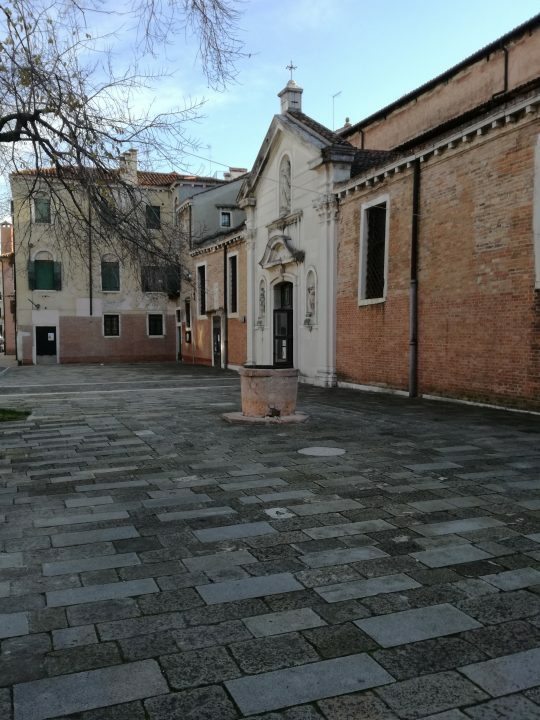 If externally the building looks very simple, once inside the sumptuous decoration is surprising: the church was covered with beautiful wooden carvings, gilded statues and many works by artists closely associated with Paolo Veronese. The cost of all this decoration would have been enormous for a community made up largely of people of modest means. From the Middle Ages, Venice was divided into two factions whose ancient rivalry frequently led to conflicts which required the intervention of the authorities of the Republic. One of the factions took its name from the inhabitants of this area and was known as the Nicolotti, the other took the name of Castellani. 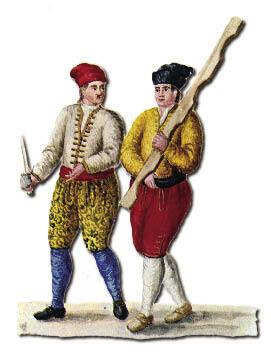 To identify themselves, the members of the two factions wore different coloured caps; black for the Nicolotti, red for the Castellani. 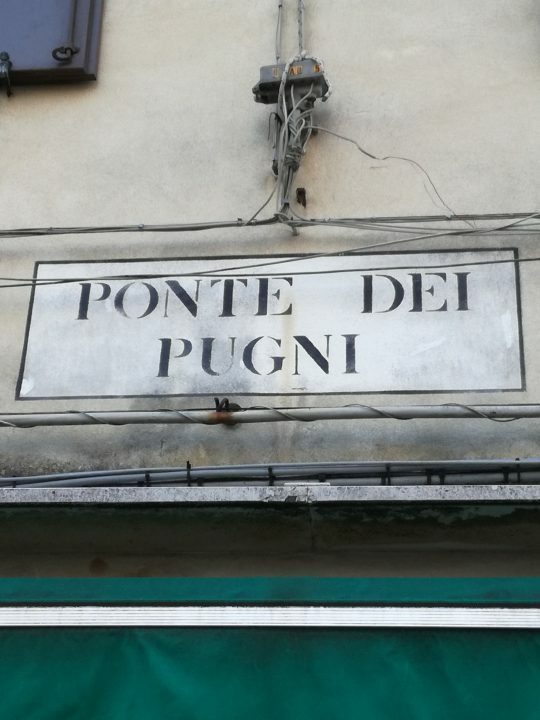 Periodically, they challenged each other to fights in specific places in the city, the most famous being the Ponte dei Pugni (the Bridge of Fists). 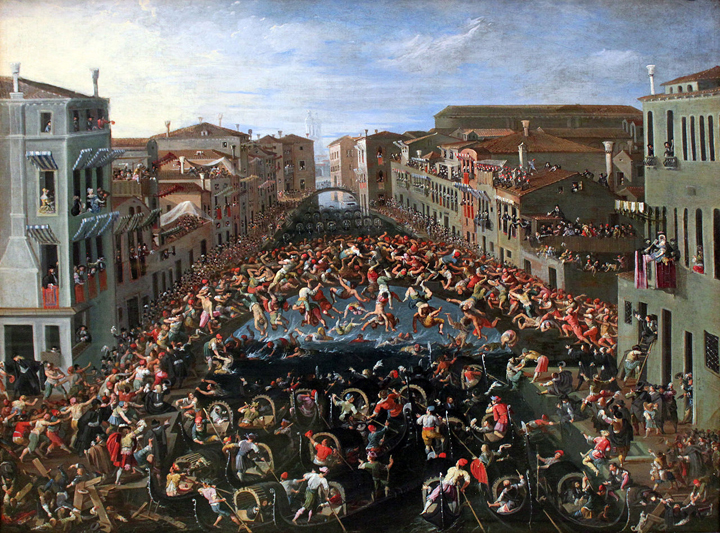 These fights are represented in many fascinating paintings in the city’s museums. They were theatrical spectacles watched by large sections of the population from the well protected windows of the palaces facing on to the bridge. The fights frequently descended into bloodshed and were thus eventually forbidden by the Republic. The Nicolotti had also the privilege to gather together in an Assembly that elected a Gastaldo, called the Doge of the Nicolotti. 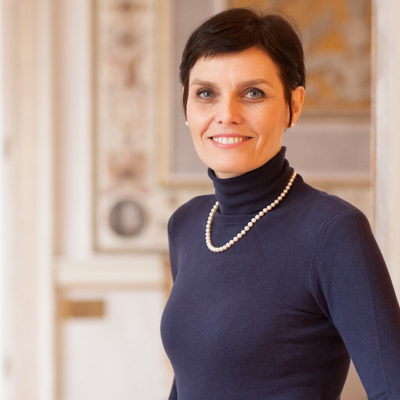 After the election, the Gastaldo went to the Ducal Palace to be solemnly presented to the Doge, the elected leader of the Republic of Venice. On the day of the Ascension, during the Republic’s most important civil ceremony, the Gastaldo followed the Doge in his own boat, that was symbolically tied to the magnificent Bucintoro, the State galley, to celebrate the important ceremony of the “Wedding of the Sea”. 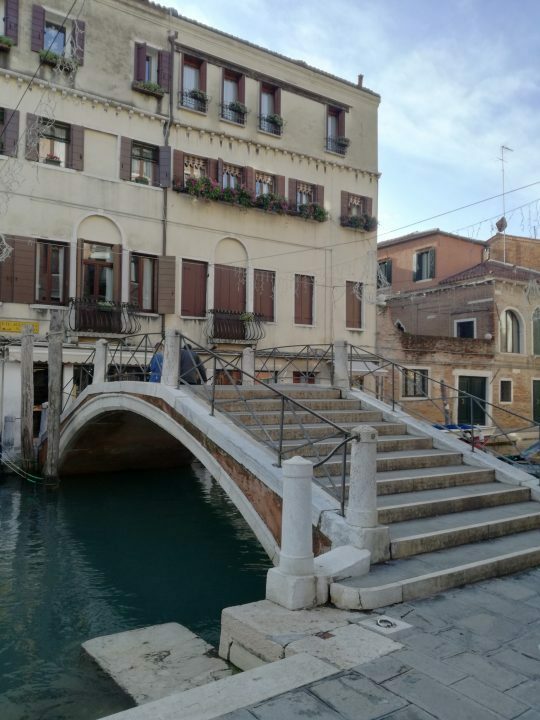 Our interest in this part of the district of Dorsoduro is not only limited to its past. As we walk through the alleys, besides noticing buildings dating back to different periods, from the XV to the XVIII century, we can also observe interesting examples of industrial architecture, like the former cotton mill on the nearby island of Santa Marta. 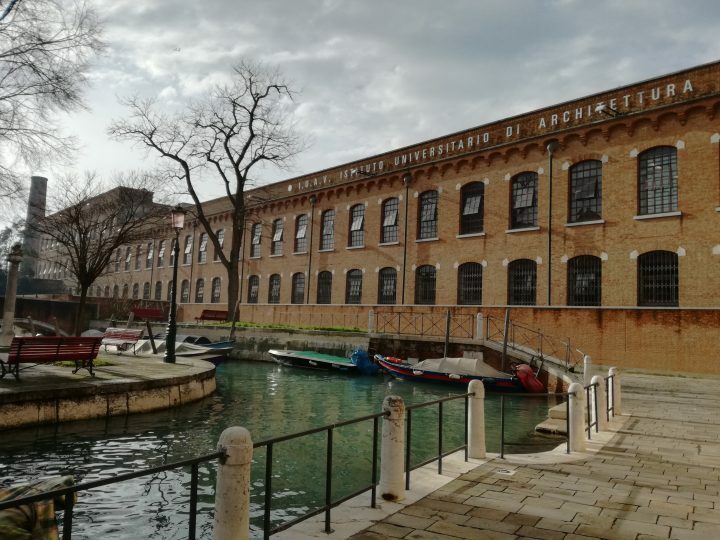 The area was a marginal one, and between the end of the XVIII and the first half of the XIX century it underwent radical urban change, becoming one of the most important working class and industrial areas, and recently an academic centre as the former mill was converted into the University of Architecture of Venice (IUAV). This is a dynamic and lively part of the city, very much off the beaten tourist track, and well worth a visit.